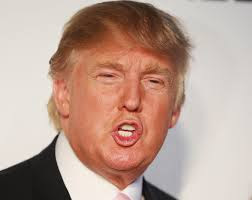 Donald trump, the US Republican presidential aspirant has hit Kenya where it hurts the most for the second time. He had earlier claimed that he will flee all Kenyan-Americans residing in the USA including POTUS, President Barack Obama, back to Kenya if elected president. The controversial billionaire and business magnate is known for being impolite and bossy. Recently, he decided to go hard on Kenya again after Kenyan athletes became the champions in the just concluded 15th IAAF Championships- Kenyan athletes bagged 16 medals. He alleged that Kenyan athletes who won in Beijing are cheap frauds, masquerades and con-men. ‘’Look at them, all of them, don’t you see frauds?’’ Donald Trump questioned and according to him, Kenyan athletes are mere con-men/women who dope and cheat for the sake of being champions. He went further to congratulate the US team for winning the IAAF championships claiming that they were the legal winners even though Kenya won fairly.